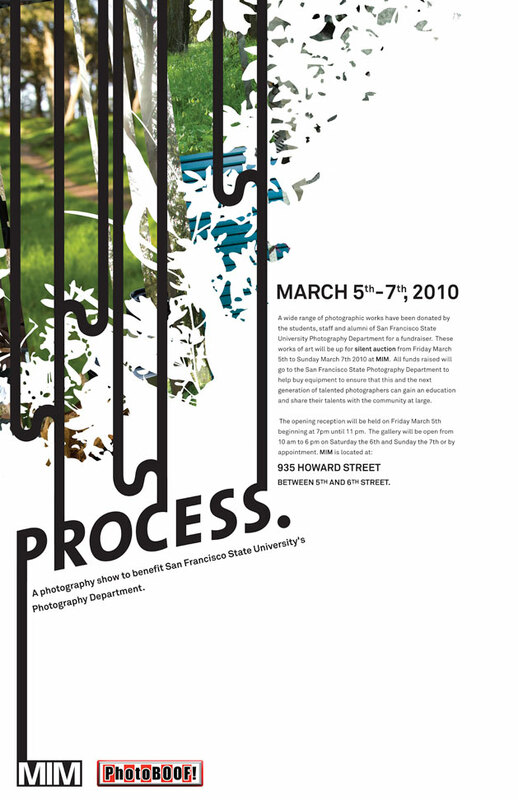 A photography show to benefit San Francisco State University's Photography Department. A wide range of photographic works have been donated by the students, staff and alumni of San Francisco State University Photography Department for a fundraiser. These works of art will be up for silent auction from Friday March 5th to Sunday March 7th 2010 at MIM. All funds raised will go to the San Francisco State Photography Department to help buy equipment to ensure that this and the next generation of talented photographers can gain an education and share their talents with the community at large.